THE FISHINGS SEASON STARTS IN FLORIDA!!! Check fishing report Email and new phone at Hell Creek 406-557-6342 Call or email: 2018 Results and Summary. ern pike, lake trout and chinook salmon. It’s about as close as you can get to a wilderness fishing experience in the safety and comfort of a nice, big, well-equipped motor boat. 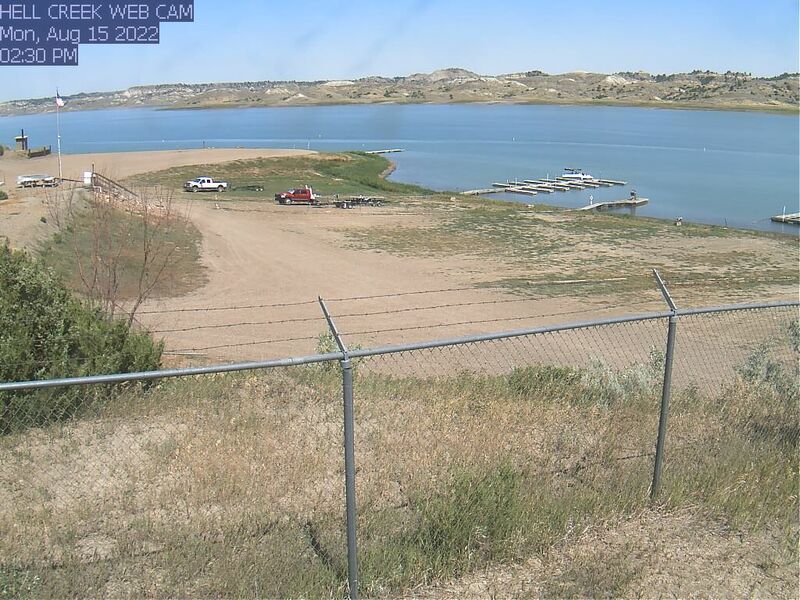 Fort Peck Reservoir is so remote cabins will only be seen at five places on the entire 134-mile reservoir. During some weekdays, you may not see another boat. But as they say, you’ve got to know the territory to find fishing success. Licensed Montana fishing outfitter Bernie Hildebrand guides out of Hell Creek State Park, 26 miles north of Jordan, and works the fish-rich reaches of the lake from Gilbert Creek on the east to Timber Creek and the Narrows on the west. It’s some of the best fishing on the entire lake. Bernie earned university degrees in fish and wildlife management and worked for Montana Fish, Wildlife and Parks for 38 years as a wildlife biologist before retiring in 2015. Spring finds him chasing big lake trout on Fort Peck. Throughout the summer, there are opportunities for walleyes, smallmouth bass and northern pike. 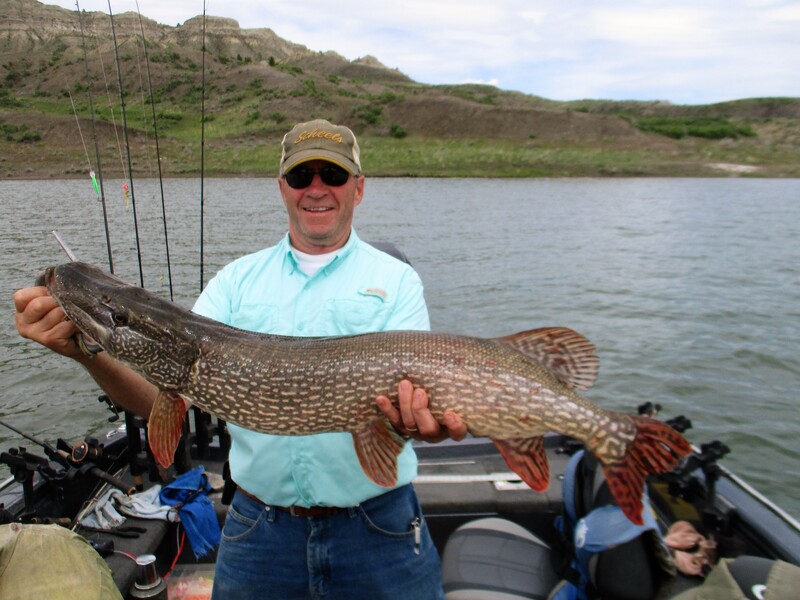 Fort Peck Reservoir holds the world record for saugeye at 15.66 pounds, the co-world record for sauger at 8.75 pounds, the old state record for walleye at 16.63 pounds and current smallmouth bass record at 6.66 pounds. Fort Peck is a great fishing adventure, best enjoyed with a good fishing guide.